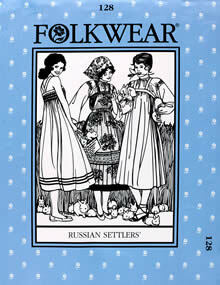 A complete ensemble from Old Russia that includes jumper, blouse, and apron, along with options for lace and embroidered embellishment. Wear the jumper by itself as a sundress or combine with other pieces for a variety of looks. 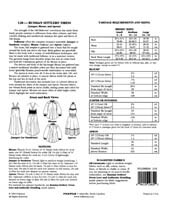 Pattern includes historical information about Russian peasant costume and instructions for traditional punch needle embroidery. Misses 6-16.